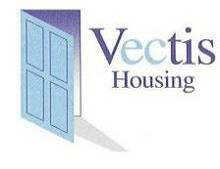 Island HomeFinder is a partnership between the Isle of Wight Council, Spectrum Medina Housing Association, Southern Housing Group and Vectis Housing Association. It replaces the traditional way of allocating housing under which Lettings Officers seek to match applicants who have priority on the waiting list to available vacancies, usually based upon the points system. Island HomeFinder allows new applicants for social housing, and existing tenants seeking a move, to apply for available vacancies which are advertised widely, for example in local housing offices or on a website. Applicants can see the full range of available properties, and under the new system, they can make a bid for any home which meets their housing needs. The website has useful information to help you find a suitable home. You can use this website to Register a housing application, Search for available properties, Apply for a property, View results of previous lettings. 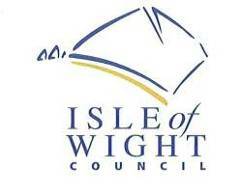 Visit: www.islandhomefinder.org.uk or click here for a copy of the Island HomeFinder Scheme Guide. 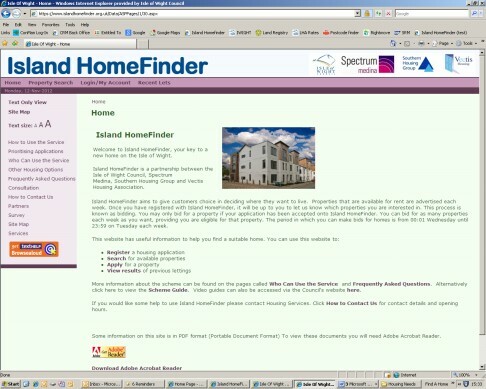 We have produced a number of videos to support the Island HomeFinder Scheme. Click the links to download the videos below. If a Supporting People provider is currently supporting you they can assist you in accessing Island HomeFinder. 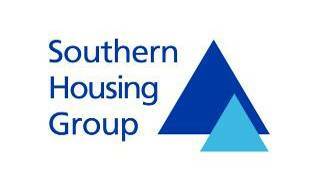 However, if you do not currently receive any housing related support but would like some, please contact Housing Services to discuss this.